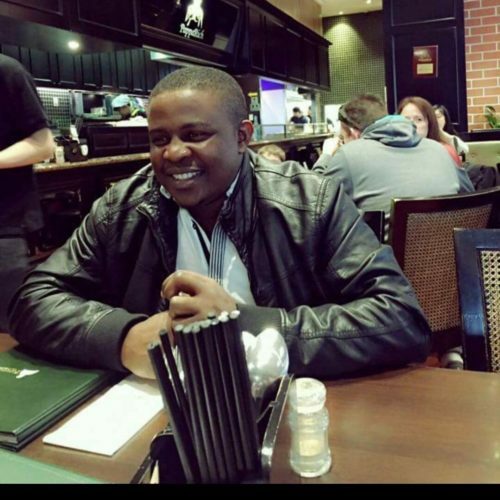 Australia to jail Nigerian student Igwebuike 25 October – Royal Times of Nigeria. An Australian court will sentence a Nigerian post-graduate student, Jackson Igwebuike on 25 October, after he was found guilty of importing methamphetamine worth $10million to Canberra. The drug, worth N3.6 billion was imported by Igwebuike to Canberra in ornate golden fish statues in October 2015, but alert security men intercepted the drugs and substituted the ice before he collected the parcel. The drug could have had “calamitous consequences” if sold in the community, federal prosecutors told the court. Lawyers for the 34 year-old Nigerian, a graduate of University of Benin, agreed he acted as “more than just a mere courier” when he accepted delivery of about 8.47 grams of pure ice before he attempted to board a Murrays bus to Sydney with the drugs in his bag. An ACT Supreme Court jury found him guilty of importing a commercial quantity of a border controlled drug in August. Igwebuike was caught in a police sting after Australian Border Force officers intercepted packages destined for Canberra in October 2015. His trial heard the drugs were discovered when three 20 kilogram statues that arrived in a shipping crate from China were X-rayed by officers at Port Botany on October 8. Inside one statue of a fish they found 43 packages that contained a combined total of 10.58 kilograms of methamphetamine. Federal police had swapped the drugs with an “inert substance” before the fish statue was put back together and repacked. Taps of Igwebuike’s phones picked up communication between the accused and another man in Igbo and with a freight company based in Sydney. Prosecutors said Igwebuike used the name “Solomon David” and asked the company for the package to be delivered to an address in Kaleen. Undercover police later watched as the packages were delivered to the address and collected by Igwebuike, who took them to a second address in the same suburb. In a phone conversation with another man soon after, Igwebuike discussed transport and meeting places in Sydney. He was arrested as he stood in a queue at the Jolimont Centre for a Murrays bus to Sydney on October 17. Police seized a suitcase filled with 43 packages of the drug substitute. Igwebuike said he hadn’t known the statues had been filled with drugs. He said he’d been approached by two men in a carpark and asked to pick up some decorative glass items. Those men later showed up at his house after he had collected the parcels and broke the statues open, before threatening to kill his wife and destroy him if he didn’t take the drugs to Sydney, he said. Commonwealth prosecutor Edward Chen told a sentence hearing on Tuesday that Igwebuike had maintained he had been doing a favour for a friend and wouldn’t admit he committed the crime for profit. “The offender does not seem to demonstrate any willingness to accept responsibility for his actions,” he said. Defence barrister James Sabharwal said Igwebuike had come to Australia to study at the University of Canberra and the fact he would not now be able to complete his postgraduate studies was a form of punishment. Mr Sabharwal said Igwebuike had worked in the kitchen at the territory’s jail and used his income to make phone calls to his large family, including his wife, in Nigeria. Igwebuike, who didn’t “quite gel” with other inmates and was often alone, had been in custody since his arrest and could be deported when he was released, the court heard. Mr Sabharwal said there was no evidence Igwebuike would have benefited from a large amount of money from his involvement. Acting Chief Justice Hilary Penfold said some comments in a letter Igwebuike had written to the court, which indicated he did accept some responsibility, raised questions as to why he maintained his innocence to a pre-sentence report author.